Babysitting Services - Kid's Nite Out Caregivers can provide one-on-one in-room childcare in the comfort of your Walt Disney World Resort room or can just hang out with your family if you need a father's/mother's helper. Birthday Parties If you’re looking for a special way to celebrate your child’s birthday, you have a number of options to choose from at Disney World. Child Activity Centers - Children's Activity Centers are designed especially for kids who are potty trained and between 4 and 12 years of age. Your child will enjoy games and activities while you enjoy some Disney grown-up fun! 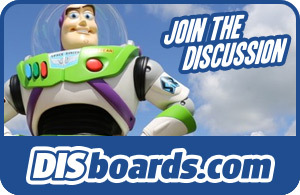 Disney's Height Requirements Calculator - The database will generate a list of nearly all the attractions that will have restrictions for your child. Epcot Really is a Park for Children We have heard many times from people in the parks and on the internet that Epcot is not a park for children. This is not necessarily true and we have listed some of the things that children can do in Epcot's Future World and World Showcase including Kidcot Fun Stops. Touring the Magic Kingdom with Small Children We made an extensive survey of wait times at the Magic Kingdom during the recent holidays. We have analyzed the wait-time results and have developed a touring strategy for seeing the most possible with the least amount of time spent waiting in lines. Oh, Baby! Taking Your Little One to Disney The first thing new parents do when they meet their beautiful new baby is count all the impossibly tiny fingers and toes and then plan a trip to Disney, of course. Well, maybe that isn't exactly how it goes, but chances are at some point as a parent, the urge hits to take your kids to a Disney park and watch them experience the magic for the first time. The question becomes: When? How young is too young? Character Dining - There are character meals in restaurants all across property, so take a look at the list and choose who you would like to dine with! Pirate Cruise Any child who has ever dreamed of being part of a pirate adventure will enjoy this cruise on Bay Lake with the Grand Floridian Recreation team. The Bibbidi Bobbidi Boutique has two popular locations; one near the Once Upon a Toy store at Disney Springs and another inside Cinderella Castle at Magic Kingdom. Children must be between the ages 3 and 12 to participate. Imaging Package: This optional add-on includes one 6" x 8" and four 4" x 6" photos in a princess-themed photo holder for $32.95* (plus tax). Portraits can be taken at Disney PhotoPass Service Studio located in the Marketplace at Disney Springs. The hairstyle choices are Fairytale Princess, Disney Diva, or Color Star. Transformations can take between 30-60 minutes depending on which package is selected. Theme Park admission is required for appointments at the Bibbidi Bobbidi Boutique located inside the Magic Kingdom. Reservations can be made by calling (407) WDW-STYLE or by contacting your Dreams Unlimited Travel Specialist. Cancellations must be made 24-hours in advance; a $10 cancellation fee will be applied to no-shows or late cancellations. Guests should check-in 15 minutes prior to appointment time between the entrance of Pirates of the Caribbean and Plaza del Sol Bazaar. Pricing and package components are subject to change without notice. Reservations can be made up to 180-days in advance by calling (407) WDW-CREW. Theme park admission is required. 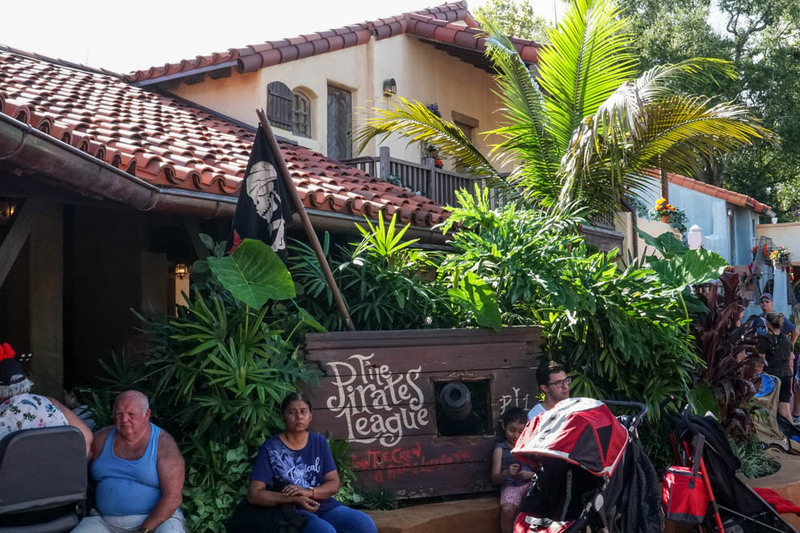 The Pirates League is open 7 days a week from 9 a.m. - 2 p.m. Ages 3 and up (adults welcome too! ).